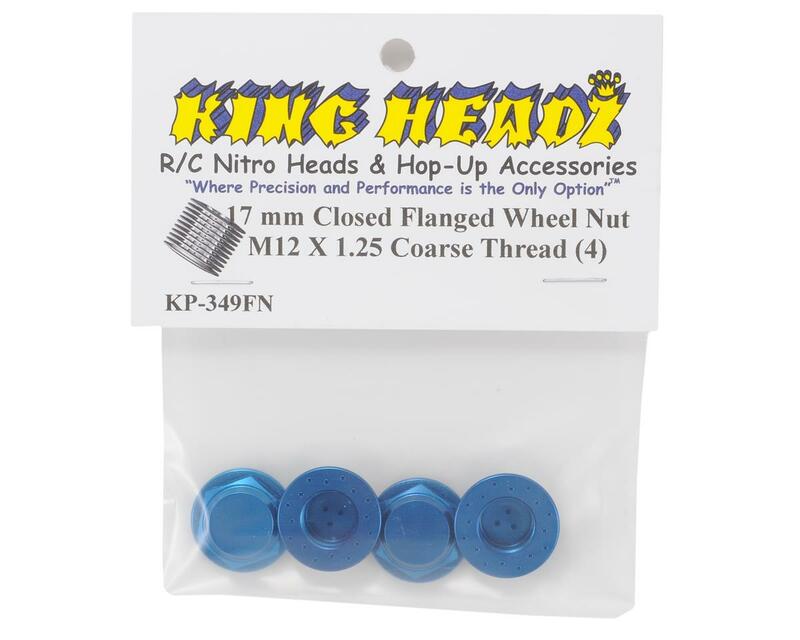 This is a set of four optional King Headz 17mm Coarse Thread, Flanged, Closed End Wheel Nuts and are intended for use with Jammin, OFNA or any other brand that uses a coarse thread hub (M12 X 1.25). 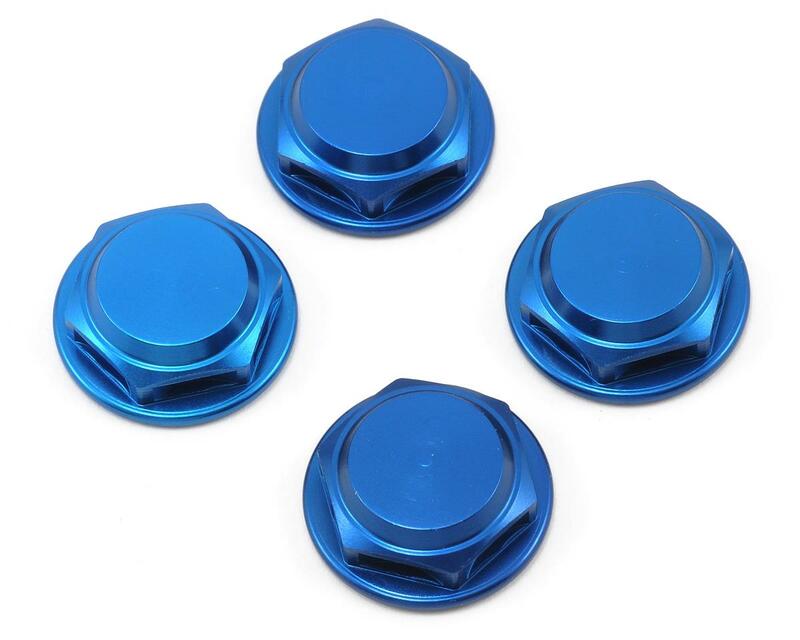 These Flanged wheel nuts are CNC machined from 7075 aircraft grade aluminum and Anodized blue for durability and good looks. These closed nuts are designed to minimize the amount of dirt that gets into the axle. They also feature small divots in the back side of the flange that will help to lock the nut on to the wheel and help prevent it from loosening up during the course of a run. NOTE: These will not fit LOSI, XRay, Kyosho, Hot Bodies, Mugen, Associated and any other fine threaded hub. Looks great, and gives you some piece of mind if you're concerned about losing hub retainers.